We can photograph your star! As award-winning and published astro-photographers with more than 30-years experience, we use our large professional telescope and specialised photographic equipment to photograph the star you have named through a Star Registry. Your photograph will be a minimum 2-hour long exposure that reveals your star with amazing clarity and true colour. The photograph is then professionally developed using 200-year inks in a gloss finish. 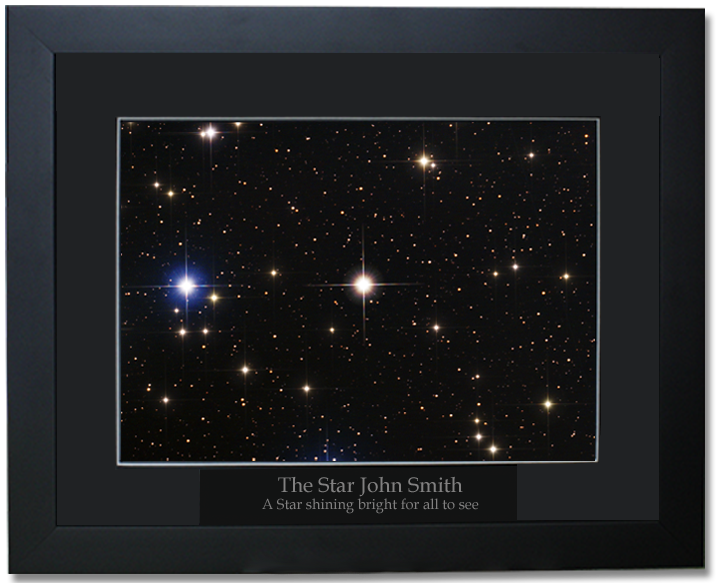 We can also professionally frame the photograph in a high quality frame which includes a plaque displaying the name of your star. This package includes us taking a high quality photograph of your star, having the photograph printed on a pro-lab printer, and delivering the gloss photograph to you. 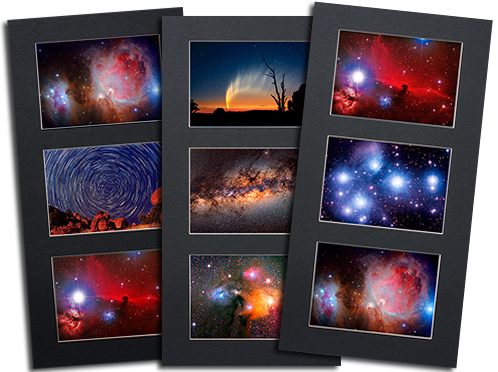 This package includes us taking a high quality photograph of your star, having the photograph printed on a pro-lab printer, then professional framing in a 430 x 350mm (17 x 13") black timber frame that includes a plaque with your star name and tribute message, and then delivery to you anywhere in Australia by Courier. Get started now by contacting us with your star co-ordinates. To get started use our Contact Form to submit the co-ordinates of your star found with your Name a Star registration details. We'll confirm that we can photograph your star before we give you the option to make payment, then we'll proceed to photograph your star using our large telescope. After we photograph your star we'll frame it and deliver it to you via courier.